One of the elements that’s responsible for grabbing your reader’s attention, and keeping it, is typography. If your fonts are boring, too small, or too difficult to read against your backgrounds, your visitors are likely to go find something else to read. 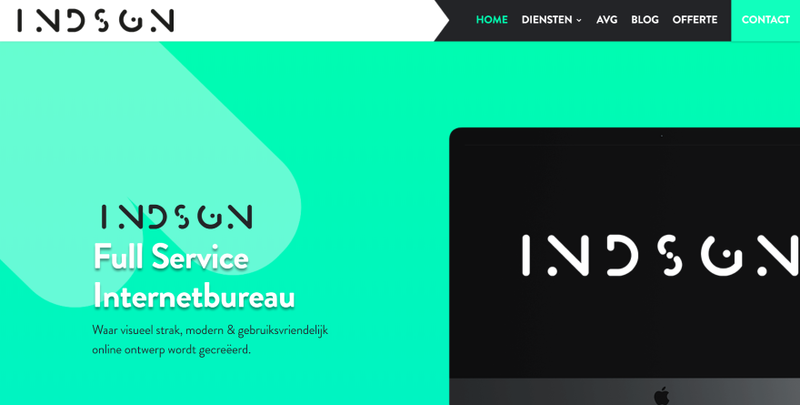 In this article we’ll look at 8 Divi websites with awesome typography to help inspire you for your next Divi design. One of the things I noticed when researching for this is I gravitate toward large titles and color. I like the colors of the fonts and how the colors blend with the website. I also like block and script typefaces, and they can even look good together if the situation calls for it. Some of these websites have excellent font pairing while others use a typeface that’s unique. I’ll show an image of the section I like and discuss what I liked about the fonts. The websites are in no particular order. Hang around until the end for a few links to help you level up your own awesome typography. This site uses Playfair Display for both the header and body text, and an elegant font for the logo. The titles also look elegant, which helps set the tone of the magazine, and I like the use of italics for taglines and quotes. The black letters look good against the white and light gray backgrounds. The typography gives this site a series, but not boring, design that lets you know what type of website this is at a glance. This one uses Playfair Display SC for the headers and testimonials, and Lato and Cardo for the body text and other quotes. It also uses an elegant hand-written script for the logo with a nice gradient to color the font. 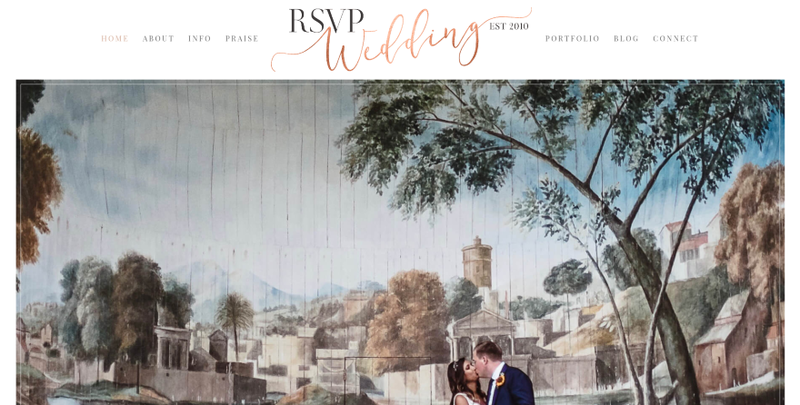 The elegant colors fit perfectly with the wedding theme of the website, using either tan over white or white over tan for most of the title text. This site uses Oswald for the headers and PT Serif for the body text. One thing that stands out to me is the font in the logo, which looks similar to Saveur Sans and has cut-out text so the background shows through. I also like the yellow text for the blog post titles on the blog page, which stands out perfectly from the overlay on the post image and works well with the website’s black background. This site makes great use of the Loto font. The large white text looks great against the purple and greenish-blue overlays. Titles are extra-large, standing out and drawing attention to the various sections. Purple is used to make the most important services stand out. The pages bring the titles in using a typing effect. Once the title is there it remains on screen. I love the way the services pages use large text in the left column as a short description of the service. This one uses a combination of red Banque Gothic fonts for headers and gold Scheherazade fonts for the body text, which perfectly match the labels on the products. Both the red and gold look great over the tan backgrounds. I’m surprised at how easy the gold is to read against the tan. Extra spacing is added between the letters and the words to make the text stand out. This site uses a font called Amp. It includes text that’s tilted and placed within an orange trapezoid box that fits within the branding of the website. It also uses Amp for headings within each of the sections in either orange, green, or white – fitting perfectly within the backgrounds. 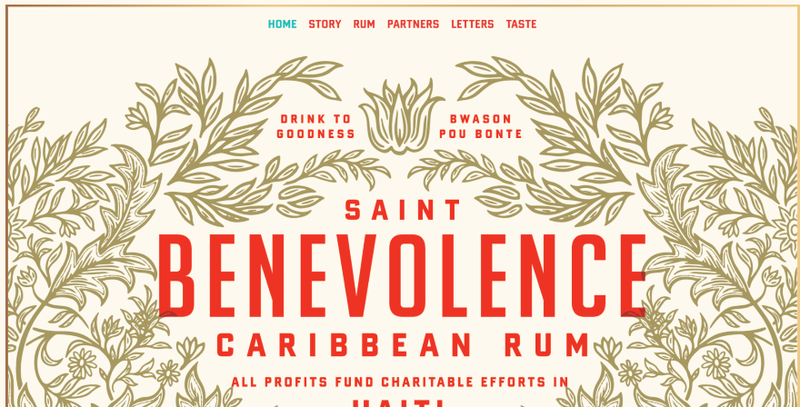 I love the use of typography within the site’s logo in the menu as well as within the hero section. 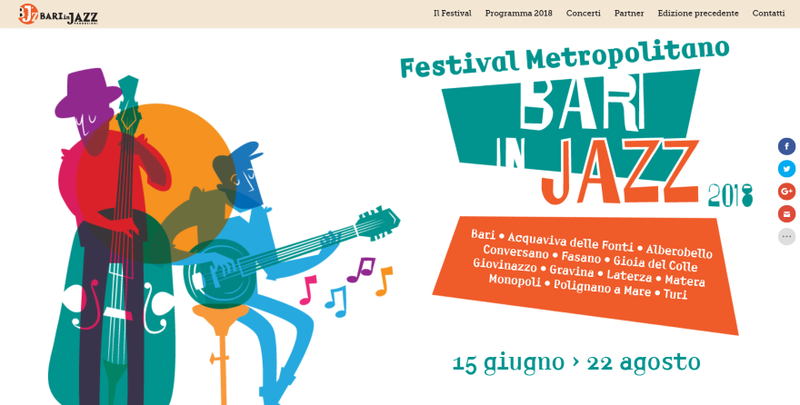 This site uses Railway for the body text and Montserrat for the title text. The titles have a touch of extra space between the letters and are in all-caps to make them stand out. My favorite use of typography on this site though is the large graphic that creates the site’s title. This is used throughout the site including in the footer to create the logo. My favorite version of it is a full-width section that has the text as a cutout to show the background in parallax over an image with a red overlay. 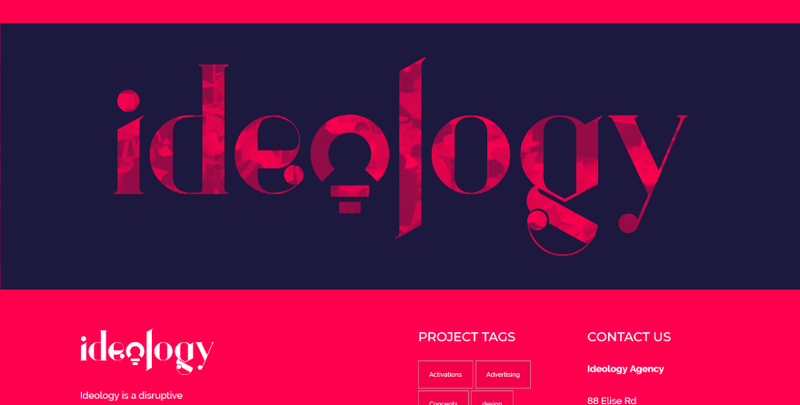 This one makes interesting use of typography within its logo design, which is used throughout the site within titles and graphics. It includes font families Alxna for the logo, B Bold for the titles, and B Regular for the body text. The tagline in the hero area uses white text with a shadow effect to stand out. Titles over white backgrounds are in green or black. The services pages display the title text as a description and overlaps the images. We want to hear from you. 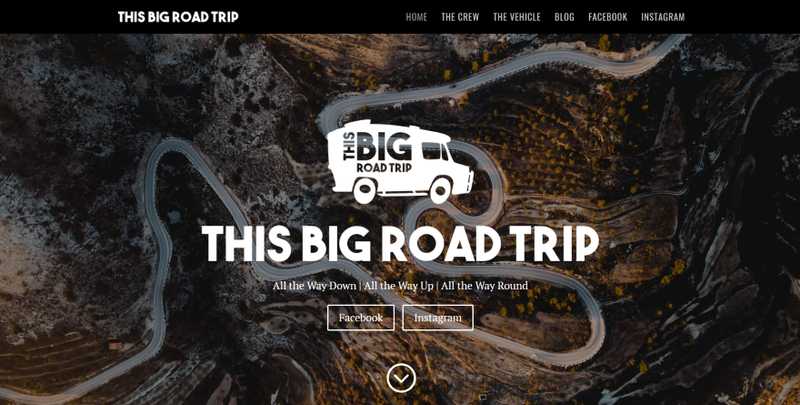 Which of these websites with awesome typography are your favorites? Let us know in the comments. 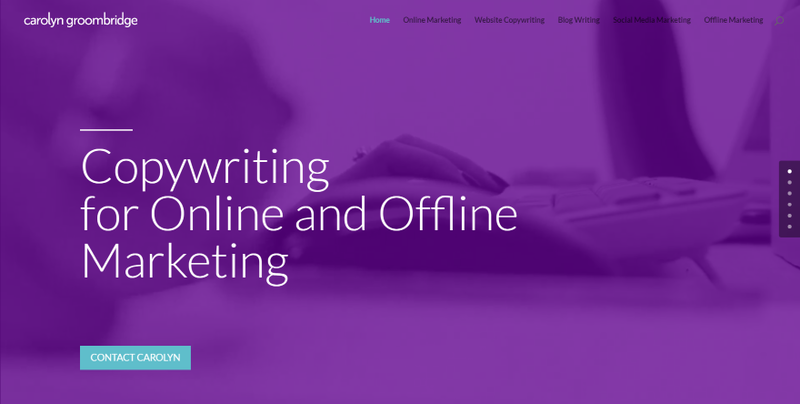 The post 8 Divi Websites with Awesome Typography appeared first on Elegant Themes Blog.